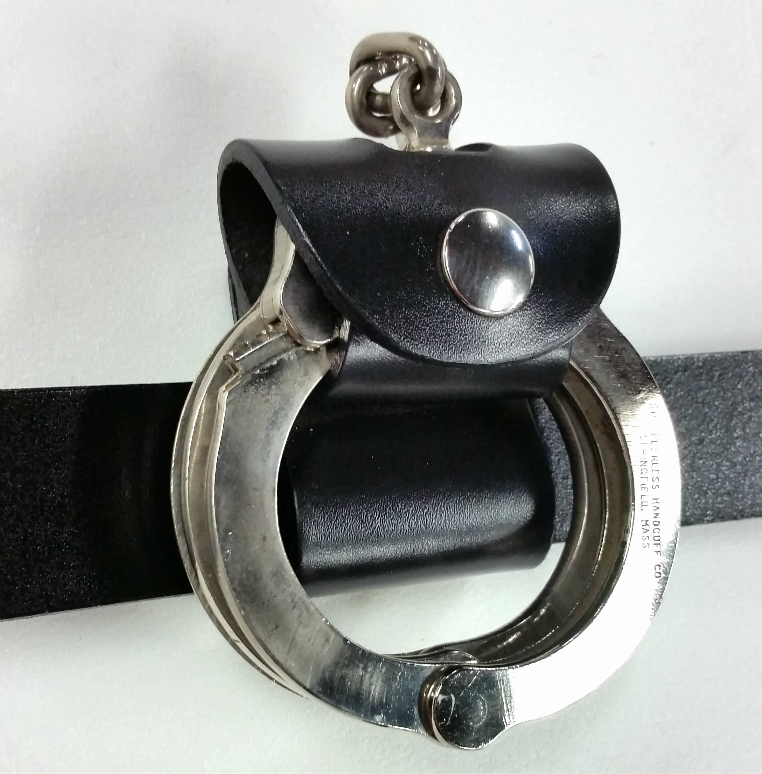 This is designed to be used with a standard 1 1/4" wide dress belt. It has snaps on the back for easy installation and removal and a dome snap release for the handcuffs. Fits standard size Peerless and Smith & Wesson handcuffs. Made of 8 ounce full grain cowhide.